A Christchurch-based wool yarn producer has announced a hemp company as a new strategic shareholder and business partner. NZ Yarn Ltd is a world-leading producer of New Zealand wool yarns for the global soft flooring market. Under the agreement, Hemp New Zealand has acquired a 15 percent interest in NZ Yarn, with the objective of installing a hemp fibre processing facility within the NZ Yarn factory in Burnside, Christchurch. It's hoped the new partnership will be a catalyst for market-leading innovations in hemp fibre processing, as well as the development of new consumer products made from hemp yarn, wool and hemp yarn blends and non-woven wool and hemp products. Craig Carr, chairman of NZ Yarn, said Hemp New Zealand's investment in NZ Yarn is an important strategic milestone for the company. "Hemp New Zealand's investment strengthens and diversifies the NZ Yarn business," he said. "It also enables NZ Yarn to engage in significant additional product innovation, as well as broadening its product portfolio and customer base with a natural fibre that has huge unrealised potential." He said hemp has many synergies with wool, as well as sustainable ethical provenance and environmental credentials. "These qualities are of critical importance given the environmental catastrophe which synthetic fibres are contributing to." Dave Jordan, chief executive of Hemp New Zealand, said the company's investment in NZ Yarn signifies a major step in the growth and development of the hemp industry in New Zealand. 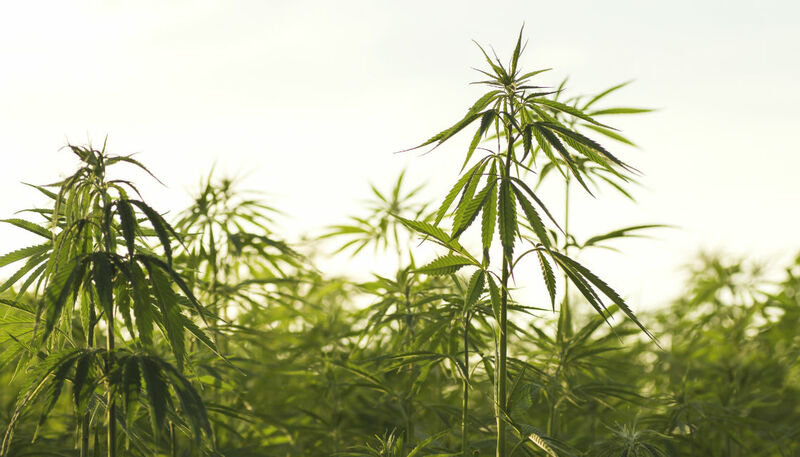 "It will also enable Hemp New Zealand to set up a leading-edge natural fibre processing line, which separates hemp stalks into fibre (which can be woven and used in yarn systems) and hurd (the woody core material which has fire retardant and insulating properties and has many uses, including in the construction industry)," he said. The processing line, which is expected to be the first of its kind in New Zealand, will enable Hemp New Zealand and NZ Yarn to jointly develop hemp-based and a combination of wool and hemp-based products for the consumer and industrial markets in New Zealand and overseas. "There are many, many consumer and industrial uses for both hemp fibre and hurd. We're extremely excited about partnering with NZ Yarn and initially developing hemp and wool yarn blends which will provide consumers with a wider variety of products made from natural fibres," said Mr Jordan. "We will also be working with NZ Yarn to investigate other uses for the fibre and hurd, which provide an environmentally-friendly alternative across a huge range of industries globally including consumer products, food and industrial applications." He said hemp fibre has a long history of human use dating back thousands of years and is now undergoing a strong resurgence globally. "It is pest-resistant, easy to grow organically and produces a very good yield of fibre per hectare compared with many other crops."